Whitney Issik will bring her policy experience, small business acumen and no-nonsense brand of common sense conservatism to Calgary Glenmore and the Alberta Legislature. Whitney Issik clearly remembers the day 35 years ago when her father’s dreams were grounded forever at a small airport near Whitecourt. It was also the day the Calgary Glenmore United Conservative Party candidate was jolted into her first understanding of how destructive bad government policy could be to the lives of ordinary Albertans. It’s was a tough lesson that gave the fourth generation Glenmore resident the necessary sandpaper character to grit out a successful small business career. And it was the motivation that made Issik one of the most sought after political strategists and policy architects in conservative circles. With the memory of her father driving her will and three years of NDP policy that has cratered investor confidence and catapulted Alberta into a debt wall, it was time for her to step onto the frontline of Alberta politics, where she felt she could help UCP Leader Jason Kenney put wind back in Alberta’s sail. “I was invigorated by Jason’s commitment and know he has the work ethic to help right this ship. I recognised he needs experienced candidates with the right skills and set of life experiences who will not blink until we achieve the turnaround we need at this critical juncture for this province,” said Issik, gearing up for the nomination vote expected in the early fall. Whitney speaks at UCP Leader Jason Kenney’s launch of his successful Calgary Lougheed byelection bid. Whitney will ensure that Calgary Glenmore will be heard at the caucus table. Issik’s father George Shortt came from tough Alberta stock. A pioneer family that set up along the Cowboy Trail, his grandfather built the Millarville racetrack, which has played a key role in bringing rural foothills communities together for more than a century. It was also a clear indication of the entrepreneurial and community spirit the Shortt family brought to Alberta before the construction of the Canadian railroad – a spirit Whitney has carried to this day as she seeks the Calgary- Glenmore nomination. But tragedy struck the early Shortt homesteaders when George’s grandfather died of Scarlett Fever at the age of 40, leaving Issik’s great grandmother to raise eight boys - including her grandfather Morris - on her own with only a ranch hand’s salary. 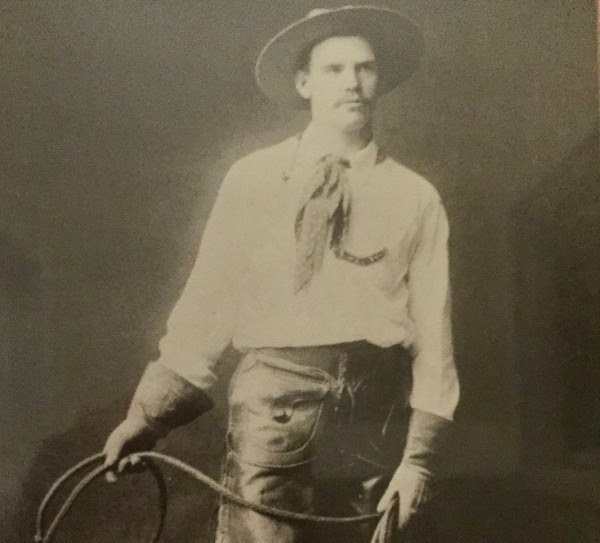 Whitney's great-grandfather moved to Cowboy Trail where he helped build the Millarville Racetrack which played a key role in bringing rural foothills communities together. The family gritted it out moving from ranch to ranch, as George eventually did, building from the ground up a small general contracting business based out of Calgary. The business gained traction in the late 1970s as Alberta’s energy sector was at its peak, giving George the confidence to build a new hotel in Whitecourt to service the rig workers, many of whom had come from all parts of the country to experience the first Alberta Advantage. “The day they were paving the parking lot is the day the Trudeau Liberals announced the National Energy Program,” said Issik. The Whitecourt hotel that Whitney's father built prior to the devastation of the National Energy Program. Like tens of thousands of Alberta families who struggled to make ends meet after the destructive NEP came in, the family had to sell off most of everything. And while George’s hobby airplane, a Cessna 206 nicknamed the Red Hedgehog, was certainly of much less importance to the family than putting food on the table and having shelter, it was symbolic of the Alberta dream that he once had for his family. The small plane was a place for his family to soar on weekends and celebrate the hard work of generations. “I remember clearly the sombre drive to the Whitecourt airport, when we had to help Dad clean out the plane,” said Whitney. George lived for 20 more years but his spirit never recovered. “Some people recover but some just don’t,” said Whitney, likening federal Liberal and provincial NDP policies that in Alberta’s current economic downturn continue to plague Alberta families. Poorly thought out oil and gas regulatory policy and a bumbling of the pipeline file are once again driving rigs and investment out of Alberta. Reckless spending is putting current and future generations’ behind a mammoth debt wall. An ideologically driven and rushed hike to the minimum wage has crippled many small businesses and restaurants and chaotic electricity policy has short-circuited that sector. So after many years of working behind the scenes as the architect of much federal and provincial conservative policy, and helping other candidates build successful political careers, Issik is taking a determined run at public office herself. “I couldn’t sit on the sidelines any longer and passively watch the NDP destroy my province,” said Issik. After “boot strapping” herself though school and paying her own way to a political science and economics degree at The University of Calgary, Issik moved on to quickly collect a number of accomplishments and accolades. After working at the local constituency level, her political prowess and deep policy understanding began to be noticed. In the early 2000s she was named National Policy Co-Chair for the Federal Progressive Conservative Party. An architect of many successful federal and provincial politicians’ campaigns, Issik recently helped cement UCP Leader, Kenney’s successful leadership campaign as his regional organizer for Calgary. And she did all that and more while operating her own small business for the past 28 years – a downtown Calgary jewellery store she scrounged up money for and bought while still in her twenties. She even found time to work several jobs in Alberta’s telecommunications and oil and gas sector. “Whitney brings extraordinary policy depth and experience to the United Conservative Party,” said Issik’s long-time friend and Conservative political strategist Marie Rajic. After acknowledging that the provincial conservative movement lost its way after 44 years in power and fractious infighting, Issik senses at the doors that unification and three disastrous years under the NDP has Albertans poised for good conservative government once again. Now more than ever – especially after inexperienced NDP candidates were elected in 2015’s protest vote, she sees her constituents - and all Albertans for that matter - clamouring for depth and experience in those who represent them at the Alberta Legislature. “I see it at the door every day,” said Issik. Her institutional memory brings confidence in her constituents. However, her experience in helping to unite the federal right years ago also brings a sense of calm and trust to the newly unified party that is overcoming natural growing pains and strong loyalties they had to their former parties. She approaches her candidacy the same way she believes Albertans are yearning for their elected representatives to govern – with respect. Issik says Kenney has demonstrated a desire to ensure a wide range of perspectives are brought to the party and she hopes to lead the charge in a caucus that has a strong, experienced female representation. 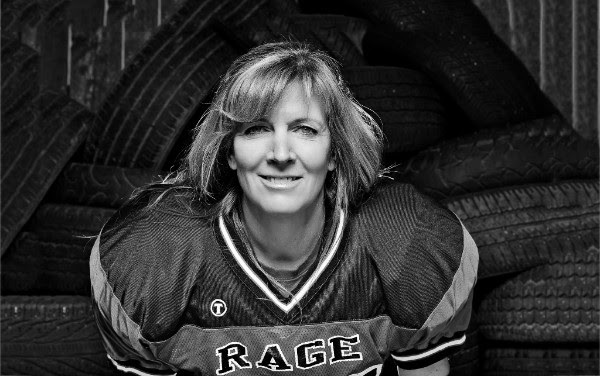 She looks to legendary Alberta politicians like Pat Nelson, Heather Forsyth and Connie Osterman as “tough as nails” conservative female politicians who have made immense contributions to their province. Forsyth, who led several prominent policy initiatives that bettered the lives of vulnerable Albertans, during the Ralph Klein government, called it tremendous to see Issik put her name forward. “Many Alberta politicians have benefitted tremendously from Whitney’s sound policy knowledge and strategic advice,” said Forsyth. No longer looking for permission in any way to run, Issik is bound and determined to help Albertans soar again, to take back what three long years of NDP government has so quickly stripped away.